There's a lot of talk lately that says the Wearable market is slowing down. Personally, I don't think that's true (is that an #alternativefact ?). I see more folks with devices on their wrists, especially at the gym. There's definitely been a lot of interest in the watches I've been wearing. Anyhow, it looks like Samsung wants to get something on your wrist. 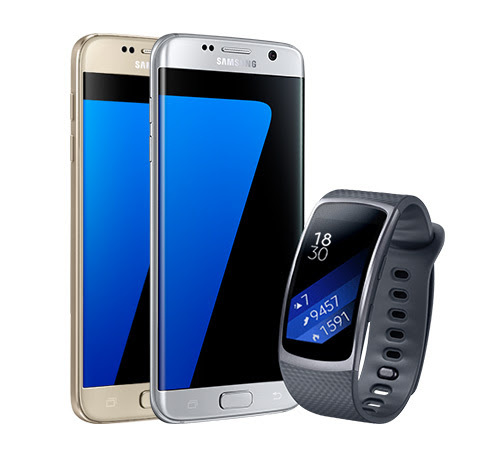 They're offering a deal that if you buy an S7/S7 Edge in either Gold Platinum or Silver Titanium they'll give you the Gear Fit 2. *Terms and Conditions apply. Visit samsung.com/ca/promotions for full details. Remember, +Cass Morrison reviewed the Gear Fit 2 back in August, and really enjoyed it. You can take advantage of the deal via Samsung's online page (just pick the right colour and you'll see the item as a Gear Fit 2 bundle in your cart when you checkout). Maybe it's an attempt to help clear some inventory of the about to be retired S7 and make way for the S8 that's coming soon... who knows. Either way, you get a great phone at a little bit less and save $250 by getting the watch for free!